Sometimes, when faced with a once-in-a-lifetime event, you don't let anything so mundane as blistering Texas heat, a cloudy sky or a tragically cracked telescope mirror get in the way. There are other, better photos of the transit of Venus across the face of the sun out there, but not so many from New Braunfels and not so many taken under circumstances as trying. The silhouette of Venus is the circle in the upper right quadrant of the sun. Quite a few sunspots are also visible, as is a region of brighter, white detail near the south pole. All things considered, this white light image of the sun (taken using Baader solar film filters--never look directly at the sun without specialized filters!) was able to capture quite a bit of fine detail, brought out with a little bit of coaxing via Photoshop. Someday I hope to own a dedicated hydrogen-alpha solar scope, but considering the fact that I don't have a reasonably useful straightforward telescope at the moment (I masked the damaged section to use the undamaged section of mirror for these images) that "someday" is probably quite a distance in the future. 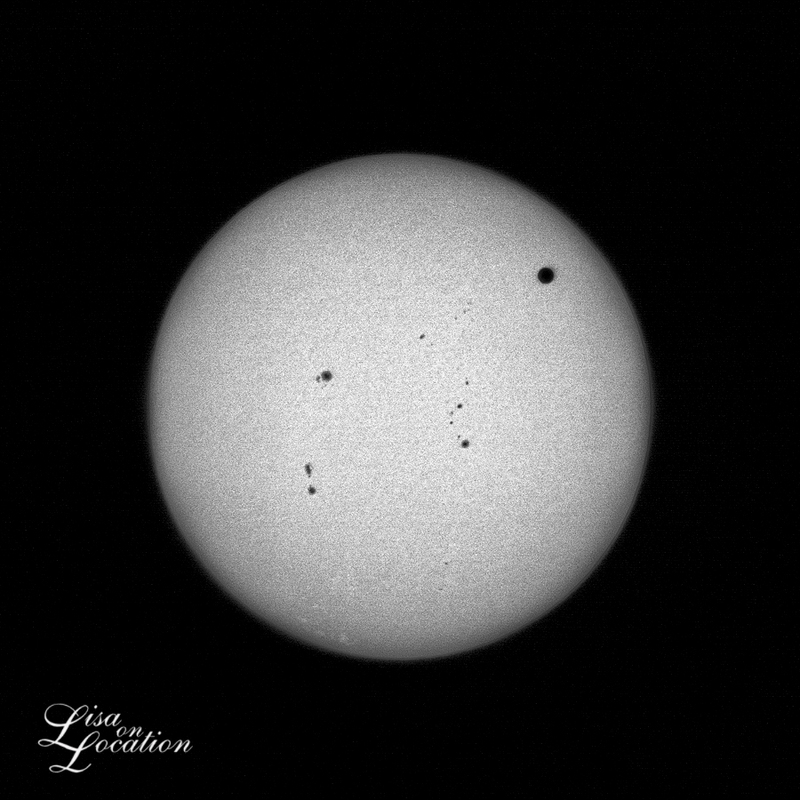 Still, even though my shots of the transit of Venus are not what I'd hoped for, years from now when my eyesight's failing and I'm not able to look through a telescope, I'll cherish these photos all the more.